just letting you know that only one of the pictures is behind the cut! Lorne Sussman is so cute! aw the second Mikey turned out adorable! Ahahahaha seconded on the icon! 2nd Mikey looks a little like John Travolta. Thanks for posting this! I've always wondered -- the kids were so damn cute. aww cuties! especially the second one. I know her (Julie from Look Who's Talking Too) she hasn't done any acting since. She's married and has a son and a daughter. From Tabitha Lupien's My Space, she played Julie in "Look Who's Talking Now" and according to IMDB played Becky in the new Hairspray. oh wow, you can totally see the resemblance. I think it's the eyes/cheeks. Yep that's her, all right. And hoooly crap I feel old! She got really pretty! I love this! I always wondered what they ended up looking like. Thanks for finding these! Icon love! <3<3 February is way too far! My favorite was always pt. 2 because I was the same age as Mikey when my sister was born. He was such a cute baby and he's even cuter now! I'd love to see how the little baby from the first one turned out. He was SO adorable. The boy from the 2nd one looks almost the same! 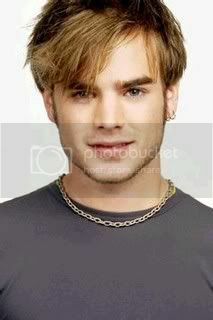 You're forgetting David Gallagher from Look Who's Talking Now !! That's the wrong Jacob Haines, the one you posted was born in 1978 the movie was made in 1989, which would him made him 11.